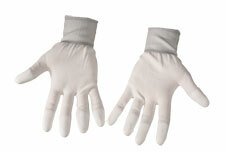 Gloves designed for machine quilters. 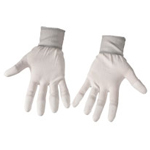 Soft, flexible fingertip grips with superior comfort and support. Breathable fabric retains skin's natural moisture. Excellent for machine piecing and quilting. 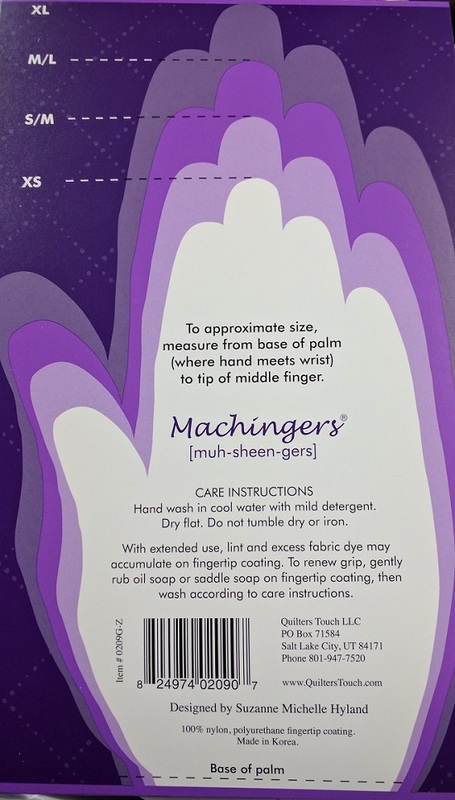 Care Instructions - Hand wash in cool water with mild detergent. Dry flat. Do not tumble dry or iron. To determine size - measure from the base of your palm (where your hand meets your wrist) to the tip of your middle finger. Size S/M: 6 1/4" - 7"